Perhaps the true highlight of a trip to Borneo is travelling deep into the Borneo rainforest and staying there with traditional tribes. Of the options available, Batang Ai, east of Kuching, is one of the best. This area is home to the Iban tribe, the largest and most vibrant of Sarawak's 22 tribal groups, who live with extended family groups in traditional longhouses by rivers on the edge of the jungle. In times past the Iban used to be known as head-hunters but today they live through fishing and ecotourism. Trekking through the jungle can be strenuous and humid but is a perfect opportunity to experience unspoilt wilderness and search elusive orangutans and or their nests. Bathing in the rivers or at Enseluai Waterfall offers ideal relaxation after trekking, in addition to learning about Iban customs and trying their rice wine. 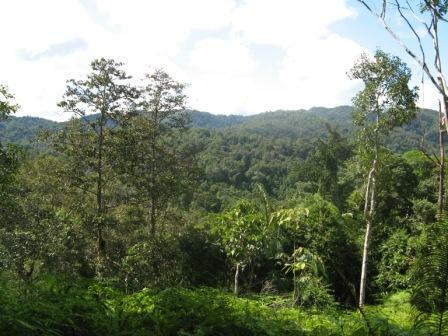 Gunung Mulu National Park in eastern Sarawak covers 529 km² and is an area of remarkable biodiversity. It's best known for its karst features - pinnacles which are blades of rock that project through the rainforest canopy and underground caves, of which 295 kilometres have been identified, believed to be 2-3 million years old. Wind Cave has impressive stalactite and stalagmite formations and some of the longest tunnels in the world. Clearwater Cave has a river winding through its centre, which is over 100 kilometres long. The enormous Deer Cave is home to 32 million bats and watching them leave the cave in the late afternoon in search of food is an extraordinary site. The park also contains the world�s longest tree canopy walkway, allowing you to view the forest and spot some of the resident wildlife. 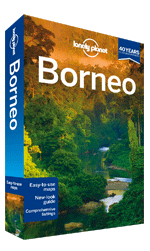 Organised group tours: Click here to see 4 tours to Borneo which may include Borneo Rainforest.